Located in The Market Square Historic District, we are steps away from the newest "hot spot" for the perfect pub/cafe crawl. Market Square has become the destination for a fun-filled urban get-a-way, and The Majestic Metro is right in the center of it all. The Hotel Icon, J.W. Marriott, and the SpringHill Suites Houston Downtown offer special rates for our clients and their guests. We only host one event per day therefore insuring that you and your guests will receive the special attention you deserve. 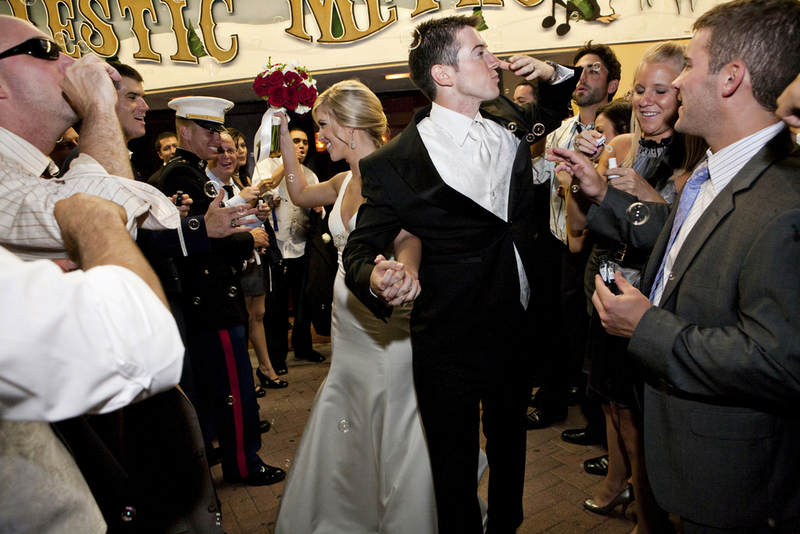 Because every couple is unique, we have 5 preferred caterers and 3 preferred beverage service companies to choose from. This is your day and we believe you should have the opportunity to choose which vendor can meet and exceed your vision. Each of our preferred vendors can create the perfect turn-key reception for you and your guests. And...if you have a caterer you are in love with, ask us about the option of having that caterer work his magic at The Majestic Metro - we want your day to be as special as you are. Please note: a Friday or Sunday event will be approximately $1,000 less in price. A Monday - Thursday event will be approximately $1,500 less than a Saturday event. Choice of four hors d'oeuvres, Choice of salad, Choice of two Entrees, Choice of two side items, Dinner Rolls with butter; beverage package - tea, coffee, water, soft drinks; alcohol package that includes beer and wine (can be upgraded to include alcohol for a nominal cost); ivory with gold trim plates; glassware; flatware.